For Chartered Coaches: Drop-off is at the entrance and free parking on the waterfront. 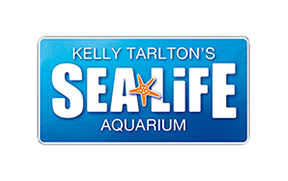 Kelly Tarlton's offers all drivers a free admission on the day their passengers visit (driver ID must be shown). For School visit: If you are visiting with a school for a self guided visits, please ask the bus driver to drop you at the bus stop by Hammerheads and enter the aquarium via the front entrance. If you are visiting with a school for a lesson with the Kelly Tarlton's education department, please ask the bus driver to drop you at the bus stop by Okahu (across the road from the aquarium) and meet your Kelly Tarlton's education staff member at the glass doors by the entrance to Okahu. If you are visiting with a school for a sleepover and arriving at 7pm, the bus can park in the carpark. Entrance for a sleepover is via the exit building. Where can our School bus park?